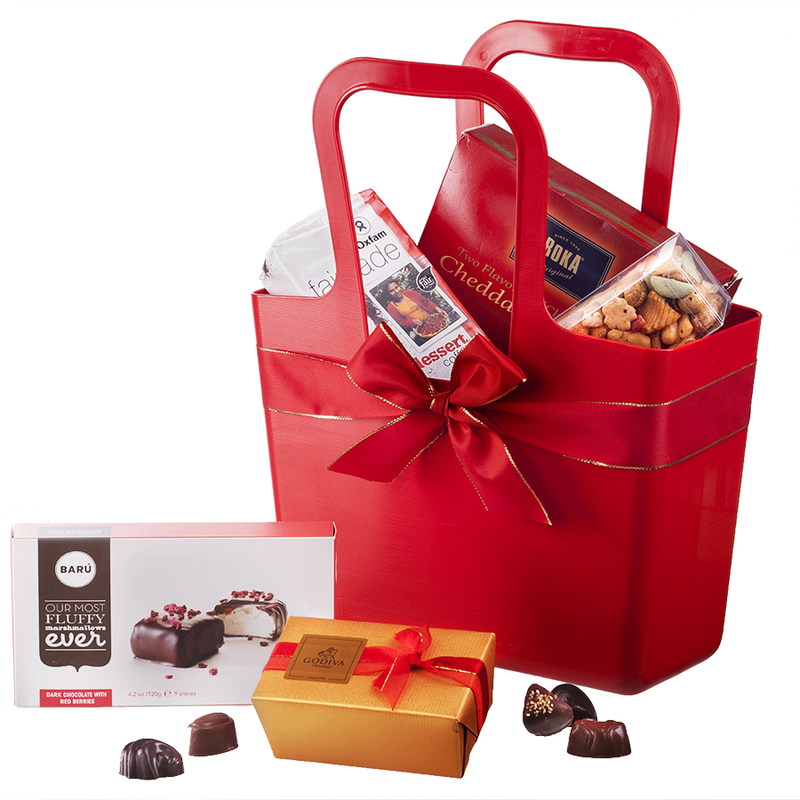 This bright red gift is all you need for a fabulous coffee break. Gourmet Belgian Godiva chocolates, all-natural red forest berry marshmallows from Barú, fair trade coffee from Oxfam International, crispy cheese snacks from the Netherlands and more. All in a stylish, reusable tote from Koziol--Italian design backed by German construction.